Holy Shhh... It's April - my birthday month! And this calls for a birthday giveaway, it is not too late, right? 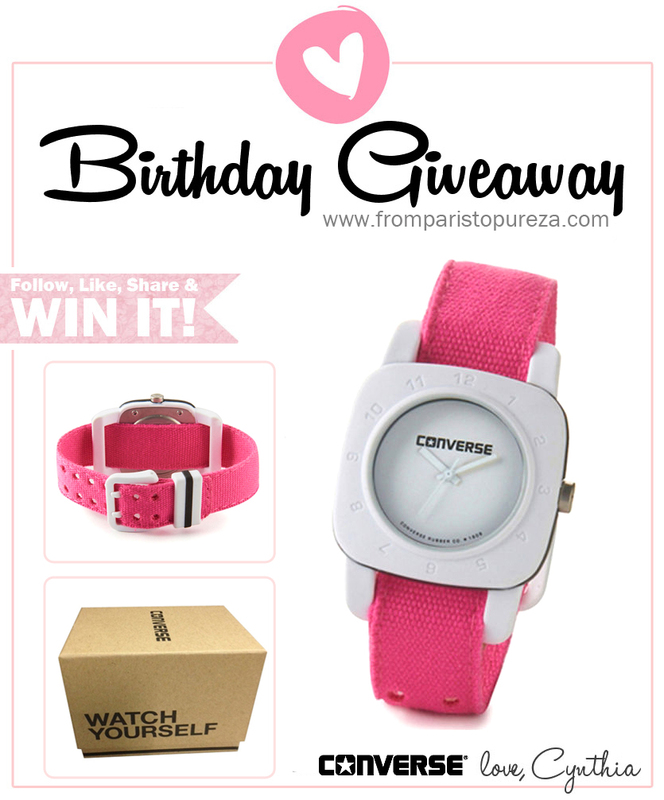 Get a chance to win this Pretty in Pink watch from Converse values at 75usd! This giveaway is open to anyone, anywhere. *note: You must do everything to make your entry valid. This giveaway will only runs until the 30th of April. I'll be picking up the ONE winner randomly, and will be announced on the 1st of May. DISCLAIMER: I am not responsible for the payment of any local customs duties (if there's any) of the winner. Although I use all reasonable means to ensure that the giveaway prizes will be delivered within the quickest time, I cannot accept any responsibility for late deliveries or lost of package due to circumstances outside of my control.